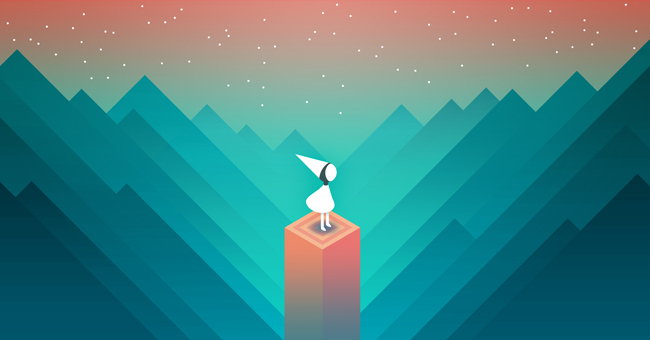 If for some strange reason you haven’t experienced the beautiful puzzle game Monument Valley yet, now is your chance. The cult favorite is going for free on iOS for the first time. It has been priced at $3.99 since its release in 2014 and while it has had a handful of price drops before, they have been limited and it’s unclear if this will be the same. So anyone who is curious about the Escher-esque game should get on this quick. We have contacted UsTwo games to see how long the offer will last. Never heard of Monument Valley? Well, it’s a puzzler style game where you have to guide a silent prices through a fantastical land filled with mysterious paths, optical illusions and obstacles, like the Crow People. One of the things that has made it so popular is the design; inspired by the art of Escher, 3D design and Japanese prints, it has the appearance of being a hand-crafted world, like an architectural model. The accompanying original soundtrack and soothing colors make the overall experience of playing Monument Valley very relaxing. It’s no surprise that its creators have gone on to create a journaling app to track mental wellbeing since. With no fewer than 14 awards under its belt to date, including Best Mobile and Handheld at the BAFTA’s, Apple’s Design Award and iPad Game of the Year, it’s definitely worth checking out what all the fuss is about for free while you can. And if you’re on Android, Monument Valley isn’t available for free in the Play Store but you can nab it on Amazon Underground at no cost.